Trolley mounted for ease of movement and maneuvering. Ergonomic and robust handle, Large wheels and wide wheelbase provide easy and comfortable transportation. Immediate total stop – the machine goes off automatically when the trigger gun is released. Increases the life of the pump. Pump – axial pump with head in brass. Stainless steel pistons – Pistons with excellent mechanical characteristics. Motor electric induction motor, two pole. Maintenance free. Thermal cutout – the motor is protected from excessively high temperatures by a thermal cutout. Gauge – professional gauge to constantly check the working pressure. 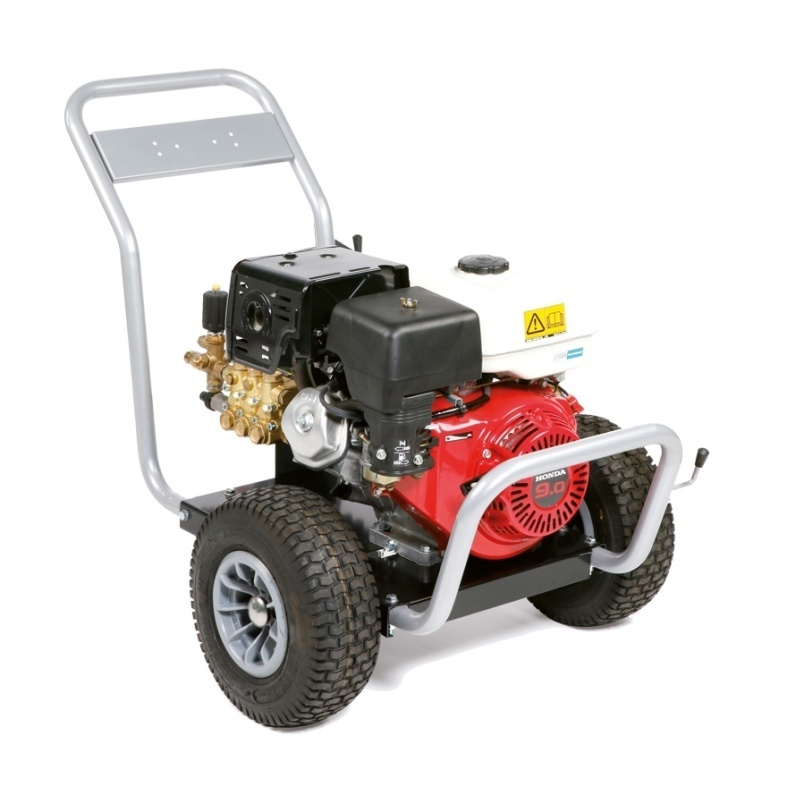 Developed to ensure maximum versatility, the PW-C21 cold water pressure washer is suitable both for home and domestic use as well as for professional use. 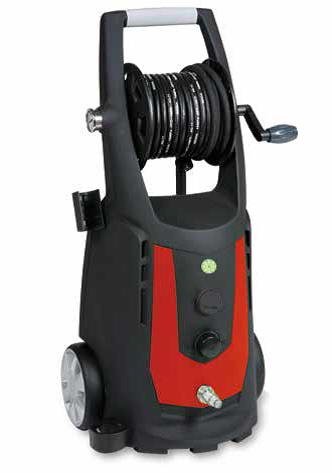 Easy to Use – The ergonomic handle and a compact design make the pressure washer comfortable and easy to use, so as to minimize the fatigue for the user during cleaning activities. 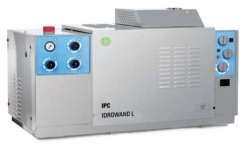 Easy Maintenance – easy access to the machine components makes maintenance operations quick and easy. Pump – pump with ceramic pistons and brass head. Gasoline engine, Honda GX Series, air-cooled 4-Stroke overhead valves, Manual Start and Low oil Sensor. Two 315mm diameter front wheels making the machine more stable and easier to transport. The wheels are fixed to a steel frame. THERMOSTATIC valve and EASY START system. Grab bar and tubular steel bumper with rests for lance or gun. Steel supporting structure designed to absorb all motor vibrations. Low pressure detergent delivery with control on lance. Electric motor, 4-pole, 1400 rpm, with double bearing and thermal cutout. Extends the working life of mechanical components. H.P. crankshaft pump with brass head and ceramic pistons. 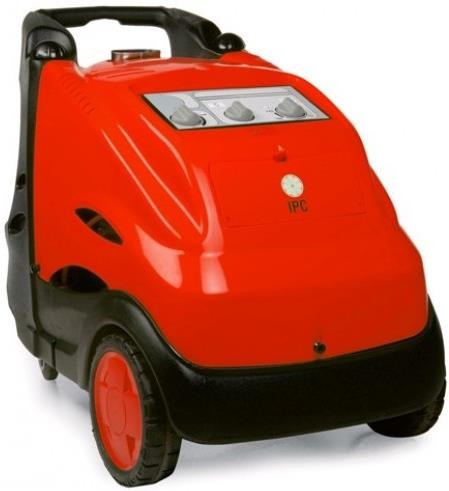 Two 125mm swiveling wheels at the back and two 300mm front wheels make the machine stable and easy to transport. The detergent and fuel tanks and water tank are incorporated in the trolley. With caps for emptying. High efficiency boiler mounted on a steel plate, 30 m double pass steel coil. The low voltage controls guarantee maximum user safety. Water softener device with pump controlled by circuit board. The quantity of product can be regulated according to water hardness. Pressure adjustment and steam knob accessible from the outside. The fan and fuel pump are driven by an independent motor. Control panel with motor and burner ON/OFF switch, adjustable thermostat, detergent tap, pressure gauge. Indicator lights: micro-leaks, diesel and water softener level. The machine is mounted on a moulded high density polyethylene frame. The Kränzle therm C series due to its double axle chassis and its 4 wheels, sets a new benchmark with regard to stability while offering highest conformity during operations that require frequent change of position. In such cases, too, large over dimensioned gears and oil housings are used to noticeably increase the service life during rough industrial operation. 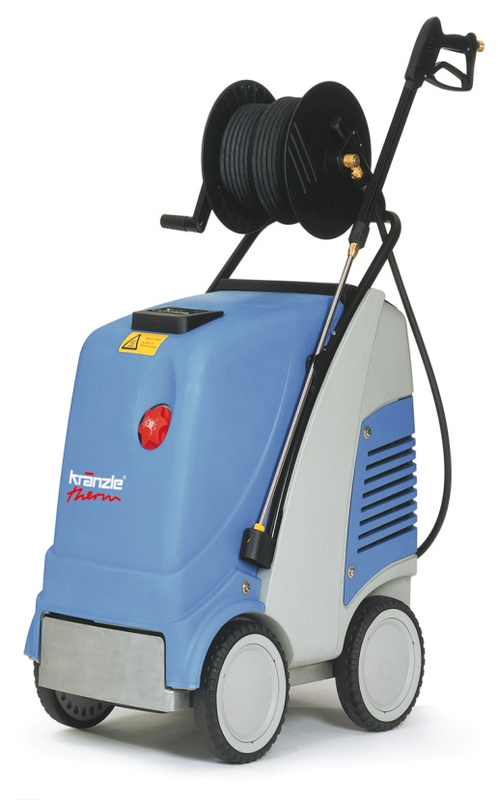 The Therm C series, Leading technology on four wheels. Integrated trolley takes rough ground in its stride with large wheels with wide solid rubber tyres. 7.5 m power lead with cable reel. Turbokiller lance with stainless steel pipe, stainless steel lance with flat jet nozzle. Shock absorbing buffers, front and rear. Total-Stop system with delayed motor cut-out. Crank type pump with three ceramic pistons and forged brass head. Pump-motor connection with anti-vibration coupling.. 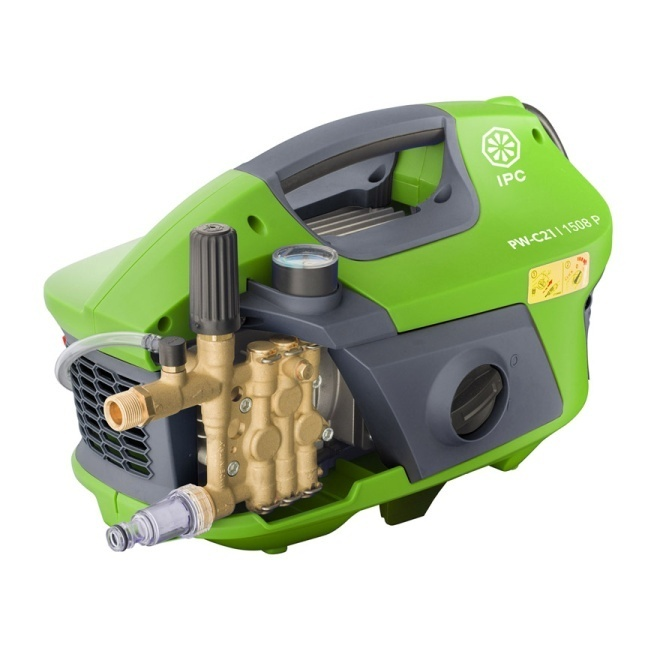 Continuous duty, 1450 rpm, four-pole electric motor protected by overload cut-out. “ICS” Intelligent control safety system (intelligent total stop), microleak detection and total power down after 20’ disuse. Burner control device shuts down operation if there is no pressure. Thermostat for selecting water outlet temperature. Water tank with float control and filter. Anti-scale system with independent pump. Pilot lights indicating the machine and the burner functioning, plus the flame control. Enamelled steel base in epoxy-polyester, satiny stainless steel covers and structures. Possibility to be fixed to a wall, or upon an enamelled steel base.